The Rock Poster Society (TRPS) was founded in 1998 by a small contingent of collectors, dealers, artists and enthusiasts. They are a nonprofit, all-volunteer organization that seeks to perpetuate and promote the long-standing relationship between music and graphic art that we so fondly call “Rock Poster Art”. Membership is just $30 and you get to select from a number of cool t-shirts. 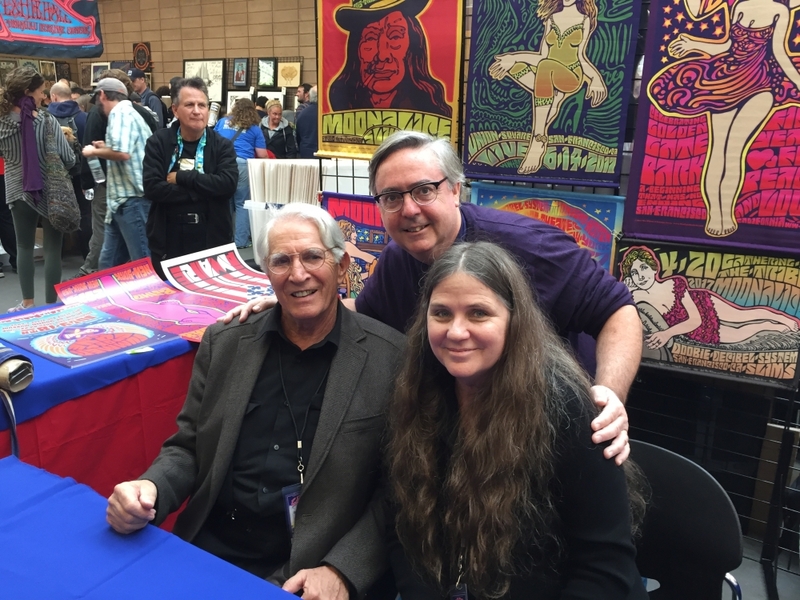 Just about every year TRPS has a festival and the Bahr Gallery typically will attend and meet with our auction sources and the living SF rock poster artists including Wes Wilson, Stanley Mouse, Victor Moscoso, Lee Conklin, David Sunger, David Byrd and others.